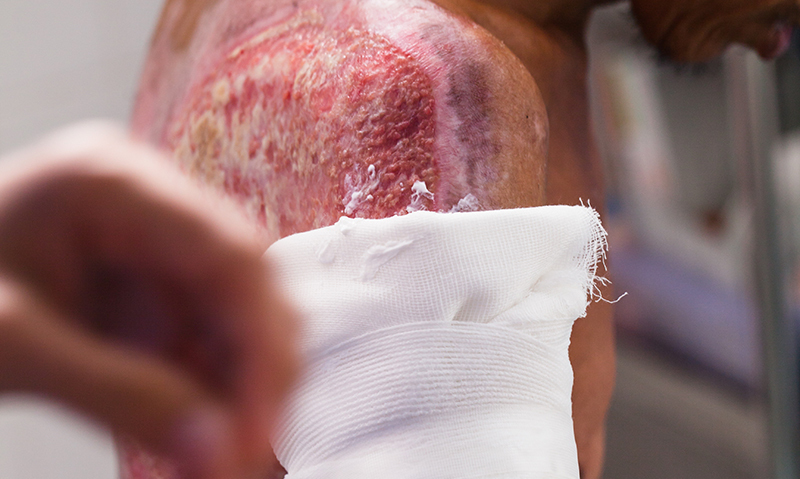 FUNDING is urgently needed to keep the Burns Registry of Australia and New Zealand (BRANZ) up and running because experts say it is the “foundation stone” for excellence in burns injury care. Winthrop Professor Fiona Wood, director of the Burns Service of Western Australia, told MJA InSight that “continuously improving outcomes for those unfortunate in suffering burn injury is now possible, but it hinges on the continuation of this data registry”. She said that thanks to BRANZ, researchers and clinicians have been able to identify key attributes of quality care and transfer this knowledge across the whole country. However, there is no guaranteed source of funding to preserve and develop this valuable resource. Professor Wood co-authored a study published today in the MJA which analysed data from BRANZ to determine the extent of variation between participating units in burns treatment and outcomes during the first 4 years of the registry’s operation. BRANZ is a clinical quality registry developed in accordance with the Australian Commission on Safety and Quality in Health Care national operating principles. The authors looked at data on 7184 adult cases, which were documented in the registry by 10 acute adult burn units between 2010 and 2014. Primary outcomes measured were in-hospital mortality, length of stay in hospital, skin grafting rates, and rates of admission to intensive care units. The authors found that despite the highly centralised delivery of care to patients with severe or complex burn injury, and the relatively small number of specialist burn units, there was significant variation between units in relation to both management and patient outcomes. They argued that the data from BRANZ supported the feasibility and further development of the registry. Lead author of the study and head of the Victorian Burns Adult Clinic at the Alfred Hospital, Dr Heather Cleland, said in an MJA podcast that while variation was not always a bad thing, the variation must be understood. This was particularly important when it came to burns care, because differences in treatment could have an adverse impact on patient outcomes. Dr Cleland said that the idea behind the registry was to enable comparisons between the statewide burns services. “It’s a clinical quality registry, with 19 clinical quality indicators, but these are viewed as flags rather than in black and white”, Dr Cleland said. Ms Yvonne Singer, clinician at the Victorian Adult Burn Service and member of the BRANZ Steering Committee, told MJA InSight that the study highlighted just how essential the registry was and how difficult it would be to replace. Burn care is a relatively small area of clinical practice, yet it is associated with high costs and there are serious long-term consequences of poor quality care. “BRANZ allows benchmarking of practice across states and territories, which is paramount for ensuring best practice and developing evidence-based practice for burn care”, Ms Singer said. To date, use of the registry has successfully resulted in improved burns service planning, along with driving key changes to community awareness and burns prevention campaigns. “BRANZ also addresses important appropriateness of care questions and examines the reasons for, and impact of, variation on in burn care”, Ms Singer said. Dr Cleland said that while the registry was doing what it was meant to do, “obviously there are more things we would like it to do”. “Sustainability is an issue for us. We don’t have any ongoing funding guaranteed for us,” she said. Ms Singer agreed, adding that up until now, the registry had been funded through short-term financial contributions from government, burns units, and professional and philanthropic organisations. While this had propped up the governance of the registry, infrastructure costs, and operational activities, the limited capacity of funding meant the potential benefits of the BRANZ were not being fully realised. “With several years of registry data now available, there are opportunities to use [this information] to drive quality improvement initiatives, however there are currently no resources to do this,” Ms Singer said. Dr Cleland said that with more funding, researchers would also like to use the registry to look at long-term outcomes. This is a key component of assessing the adequacy of any treatment, but particularly in relation to burns treatment where rehabilitation is such a long-term process. Ms Singer said it would only take minimal additional investment to preserve the existing work of the registry and also provide a platform for sustainable and systemic improvements in burn care. This sort of problem really annoys me. Clinical databases are so fundementally important and yet it is so terribly hard and frequently impossible to get or maintain funding from government bodies to either establish them or keep them properly operational. However, it seems that everytime some government department has a “bright” idea, there always seems to be money available to add something new at taxpayers expense, which contributes absomutely nothing to the quality of care or improved patient outcome. The Australian Society of Gynaecologic Oncologists (ASGO) has been trying for decades to set up and establish a National Gynaecologicl Cancer Regsitry but without success – there has in the past been an inquiry, initiated from memory by Cancer Australia, into this matter. The cost of the inquiry was more than the cost of establishing the database, the inquiry found it was worthwhile and then nothing happened. These government departments should have to exist on the funds that reamin after clinical services and requirements are adequately funded.